My Scrub Pine Christmas tree is now doing its triple tour of duty as a holiday tree. First it was decorated for Christmas, then Valentine’s Day, and now I have covered it with Malted Robin Eggs for Easter. 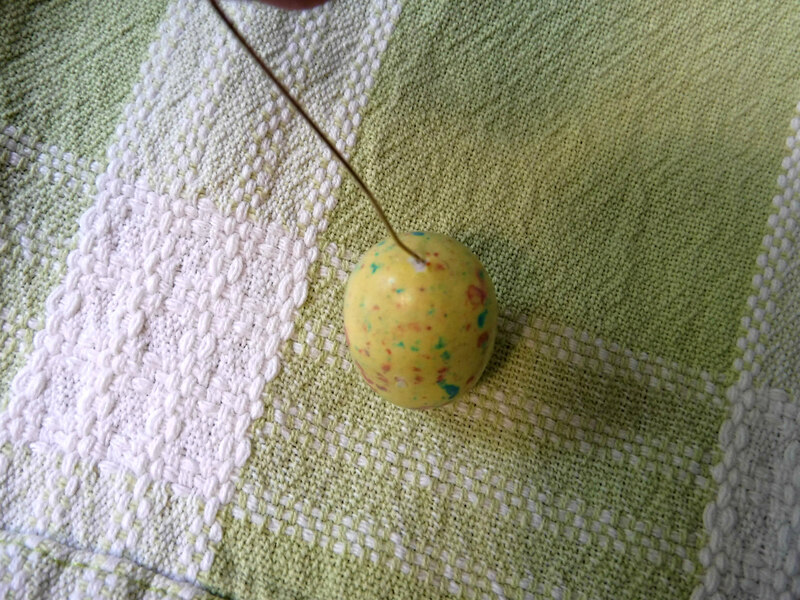 I created a small indentation with a miniature Phillips Head screwdriver, then pushed one straightened end of the hook, dabbed with a spot of glue, into the malt. Voilá! 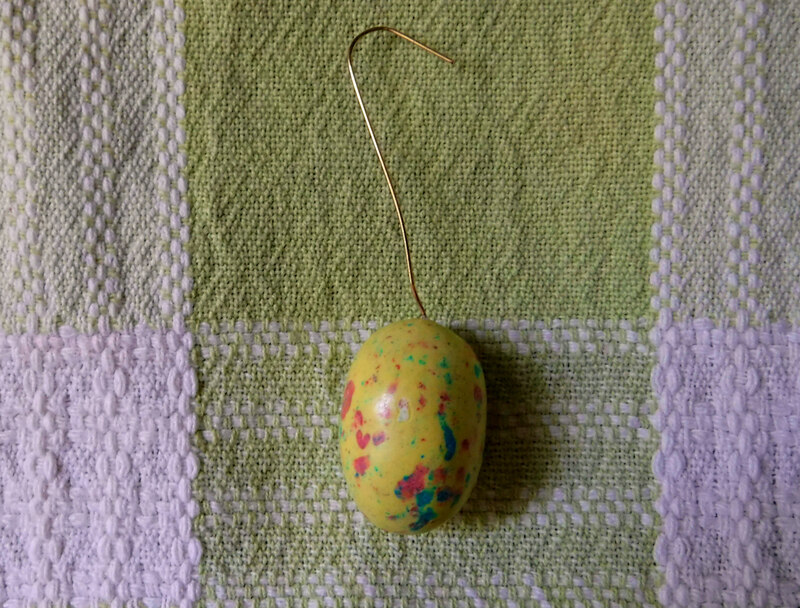 The hooks work perfectly to hang the small eggs on the tree. A few of the eggs did crack while I attempted to insert the hook, but I confess, the evidence of their demise was quickly eaten. That is really cute! My kids would love that. 🙂 God bless! Thanks, it’s definitely a fun project. That’s really a great idea! Thank you for sharing! This is a really cute idea! I have a similar tree, but it’s mini. I’ll have to do this! Thanks, it’s quick, easy, and inexpensive. 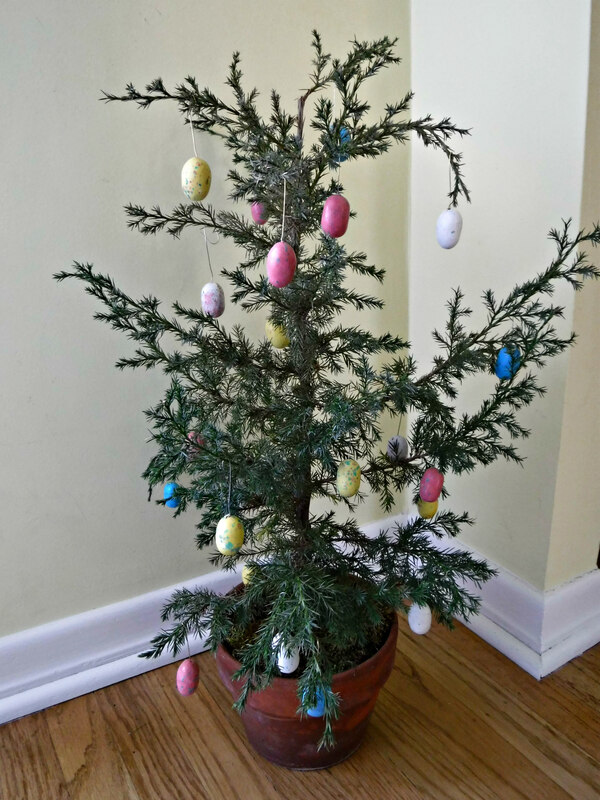 I don’t think my malted eggs would last too long on a tree! They would disappear quickly I am afraid. The little bit of glue inside helps dissuade hungry kiddies. This is a wonderful idea. Can I reblog this post? A lot of people will be thrilled to do this. BTW, what are malted eggs and how are they made ? Are they the Easter eggs that we buy from the shops for children? Thanks. I can’t find the reblog button though. I will need to look for it more carefully. I laughed at the disposal of broken eggs, shell and all. A quick disposal for sure!